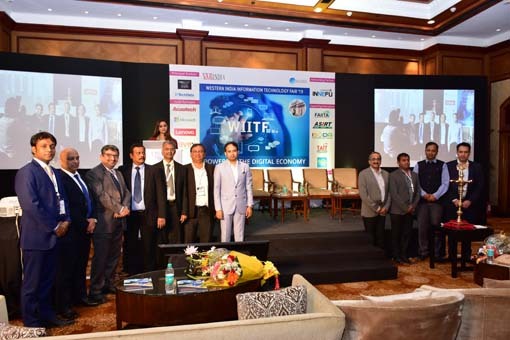 VARINDIA, organized the Third Technology Summit in a row in the Silicon Valley of India, Bengaluru. The theme this year was to understand the Best Practices for surmounting Technology Challenges. 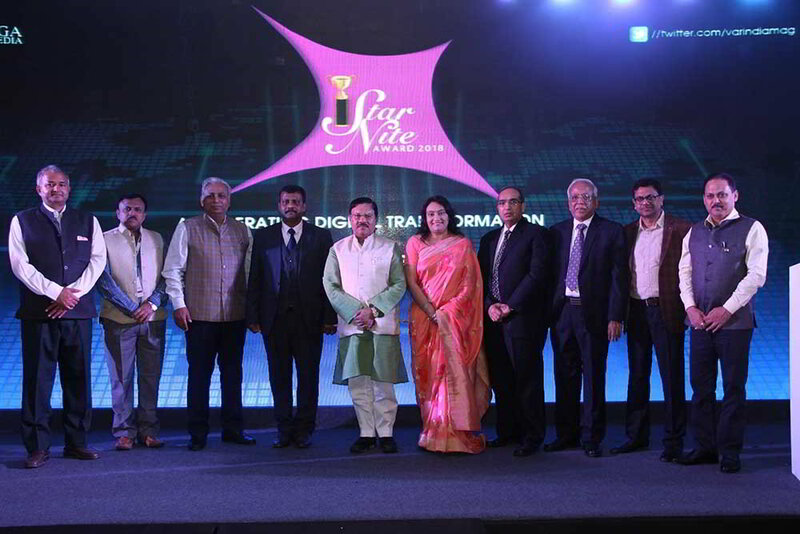 The event began with a lamp-lighting ceremony that was graced by Shri M. N. Vidyashankar, IAS, Principal Secretary, Commerce and Industry, Government of Karnataka, who was joined by Vishal Dhupar, Managing Director, NVIDIA India; Ganesh Arumugam, Director –Partners, VMware Software India Pvt. Ltd.; Anoop Nambiar, Director, Business Partners & CSI, IBM India & South Asia; Laxmi Narayan Rao, Country Manager – Cloud Division, HP India; Anil Gupta, Head of Sales, Microworld Inc.; Nalin R. Patel, President, AIT, Bengaluru; Samiksh Aggarwal, AVP – Sales, 24 Online; R. Rajesh Kumar, Business Head, In-Flow Technologies; and Anantharam V. Varayur, Managing Director, Webcom IT (P) Ltd.
Shri M. N. Vidyashankar, addressing the august audience, shared some of the initiatives that the Government is taking to make India and especially the state of Karnataka to be the “Knowledge Hub”. "We have to look for all possible ways and means to enhance footprints of innovation in our country. If Taiwan with a small population could do, then why can't India? We should work towards making India a land of opportunities in the coming days." Adding to this, Vishal Dhupar, Managing Director, NVIDIA India, laid emphasis on the importance of VARs, the term created 25 years back. "Though technology is a tool, but we have to adapt to it." He gave the audience a success mantra that “Winning opportunity is important than Winning every Deal'. The event witnessed corporate presentations from VMware, Motorola, Check Point, eScan and 24 Online on the theme “Surmounting Technology Challenges”. Sukhdeep Singh Johar, Technical Marketing Manager, Motorola Wireless Network Solutions, shared about the Wireless LAN and the role of solution architecture in meeting the challenges. In the evening, Sivakumar SK, Channel Sales Manager, Motorola Solutions India Pvt. Ltd., shared Motorola's perspective on the contribution of channel partners in bringing success to any new business module and especially for them. "Moderator Lux Rao, Country Manager – Cloud Division, HP India, concluded the power-packed discussion on a positive note by stating that in spite of many challenges still there was no dearth of opportunities. The key to success is to change our mindset and mechanism to be able to reach out more. One should offer tailor-made solutions and tailor-made pricing models to bridge the gap between the haves and have-nots. All agreed that we have to pull up our socks to be able to meet the demands of "Touch and Type Generation". The panellists included (From L to R): Lux Rao, Country Manager – Cloud Division, HP India (standing). (Seated) Prof. Sanjay H A, Head – Department of IT, NITTE Engineering College, Bengaluru; Vishal Dhupar, Managing Director, NVIDIA India; Anoop Nambiar, Director, IBM India; Nalin R. Patel, President, AIT, Bengaluru; Ganesh Arumugam, Director – Partners, VMware Software India Pvt. Ltd.; and Anantharam V. Varayur, Managing Director, Webcom IT (P) Ltd.
Rahul Ramakrishnan, Sr. Technology Consultant, VMware India Private Ltd., shared the key Virtualization Technology which is of significant relevance to the Indian SMBs. If Sandeep C V, Security Consultant, Check Point Software Technologie s, shared the Information Security Health Check Up given for free to the customers. Thereafter, Prasanna Bhaskaran, Security Consultant, Check Point Software Technologies, said his company not only scripted its success story globally but repeated it in India also. Anil Gupta, Head of Sales, Microworld Software Services (eScan), informed the audience about how an Indian IT security company has grown by leaps and bounds and is getting accepted across the globe as a trusted security partner. He used the platform to introduce the upcoming product range to the audience. Dhrupad Saha, on behalf of Samiksh Aggarwal, AVP – Sales, 24 Online, spoke about their Bandwidth and Billing Management solutions that enable the hotels to offer a number of plans to their guests. Empowerment is an important and significant term which is very relevant in our times. And, there is no denying that IT is an important tool to reach this goal. 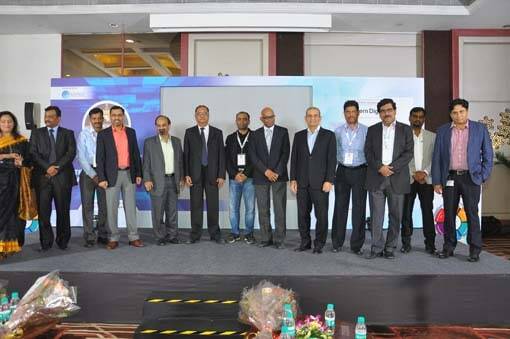 This year's panel discussion on Best Practices for surmounting Technology Challenges was moderated by L. N. Rao, National Head – Cloud Business, HP India. He opened the floor for the panellists by touching upon the tectonic shifts in the world of IT happening for the past 40 years. & Industry- Govt. of Karnataka Presentation by Mr.
Software Technologies Presentation by Mr.
Anoop Nambiar, IBM India, talked about their “Smarter Planet” initiative, which highlights how forward-thinking leaders in business, government and civil society around the world are capturing the potential of smarter systems to achieve economic growth, efficiency, sustainable development and societal progress. Not only this, obsolescence, cost and lack of talent pool are the major concerns of this IT market. Adding to this, Prof. Sanjay H A, Head, Department of IT, NITTE Engineering College, Bengaluru, pointed out that talent in India needs to be streamlined. Universities are still teaching 10 years old curriculum, which is not churning out the talent nicely. He sought support and the present panellists agreed to work towards developing a curriculum that brings to them best of talents applying for jobs. Interestingly, Vishal Dhupar, NVIDIA India, highlighted that 550 million people are below the age of 35 in India. They want to do things differently unlike what we did when we were growing up. Ganesh Arumugam, VMware Software India, added a new dimension and shared that today we need information on the go that has led IaaS, SaaS, etc. to come into the scene. BYOD has transformed the way IT is being consumed today, but processes and people are still the major challenges. Nalin R. Patel, AIT, Bengaluru, shared concerns of the Indian channel with the coming of LFRs. So the Cloud vendors should make some extra efforts in coming closer to the partners and make them feel a part of this Cloud journey. Anantharam V. Varayur, MD, WEBCOM IT (P) Ltd., who sees Cloud as an opportunity for the channel, brought to table the high employee turnover as a challenge that restricts them from availing any market opportunities. To this, Prof. Sanjay H A added that considering the prevalent piracy as a major setback for the software industry, Cloud is the possible answer. All agreed that we have to pull up our socks to be able to meet the demands of "Touch and Type Generation". By creating a platform like SIITF, KDMPL has once again tried to pinpoint the pain points of the IT industry and how these can be addressed. The participants agreed that the event provided an opportunity to the IT professionals to advance their IT knowledge in the delivery of next-generation solutions to the enterprises.